MOSCOW—Saying that he has kept his silence long enough, Edward Snowden decided to leak thousands of documents this morning linking the Federal Aviation Administration to Malaysian Airlines Flight 370, which he believes reveals the location of the missing plane. “The U.S. Government has propagated this charade long enough,” said Mr. Snowden in a video conference referring to the plane that went missing between Malaysia and Beijing last Saturday. “The American public deserves to know that government agencies like the FAA have been tracking planes and their locations for decades.” According to Mr. Snowden’s confidential files, the FAA reportedly tracks every single flight, including its departure, flight path, and arrival, and he’s been able to use these documents to pinpoint the position of the missing plane. 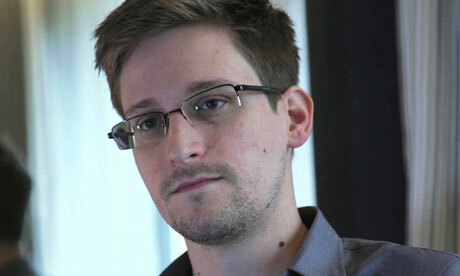 “International leaders should be warned that tracking flight 370 is not an isolated incident, and the U.S. is invading airlines’ privacy and recording flight patterns across the globe.” In his closing remarks, Mr. Snowden warned that he believes the FAA might be part of a larger organization that also records highway traffic. What’s next? The Food & Drug Administration is watching what we eat?